The Advance Nxi PET system is a whole body PET scanner which we use primarily for imaging the human brain. The scanner has a 97.2cm radial FOV and a 15.2cm axial FOV. Scanner resolution is approximately 4.0mm FWHM at the centre of the FOV. 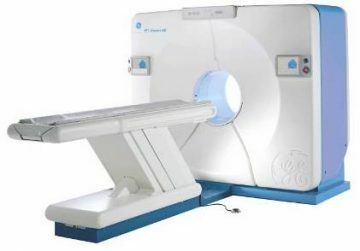 The Advance Nxi PET system is currently only used to complete longitudinal studies previously initiated on this scanner. Collaborators are encouraged to read our research section for more information.